American Cruise Lines' new vessel, American Song, the first modern riverboat in U.S. history, is nearly complete. This week, American Song, under its own power, moved from the East Outfitting Basin at Chesapeake Shipbuilding in Salisbury, Md., to the yard’s outfitting bulkhead for the final outfitting touches. American Song is set to make its inaugural cruise October 6, 2018 on the Mississippi River from New Orleans. 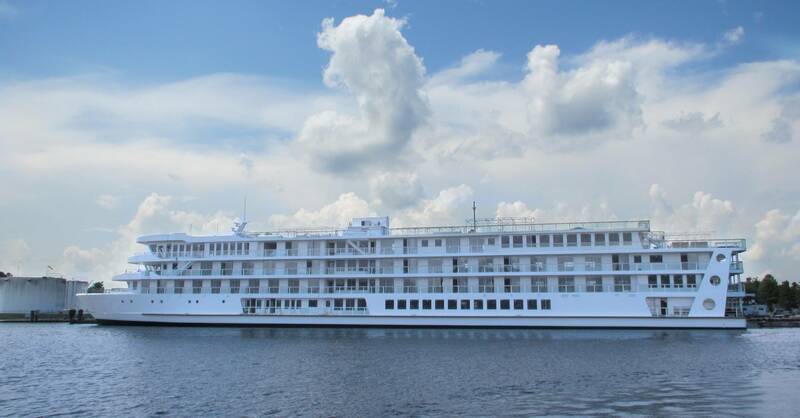 The vessel will cruise the Line’s Lower Mississippi River itineraries for the remainder of the year before repositioning to the West Coast on the Columbia and Snake Rivers in 2019. American Song’s sister ship, American Harmony, the second modern riverboat in the series, is currently five and a half weeks ahead of schedule and will be launched later this fall. American Harmony will go into service in the spring of 2019 on the Mississippi River where it will join two of American’s Victorian-style paddlewheelers, Queen of the Mississippi and America. American Song and American Harmony are both designed and built by Chesapeake Shipbuilding.